Headquarters and main production site are in Gaydon, Warwickshire, England, alongside one of Jaguar Land Rover's development centres on the site of a former RAF V Bomber airbase. One of Aston Martin's recent cars was named after the 1950s Avro Vulcan bomber. Aston Martin has announced plans to turn itself into a global luxury brand, and is increasingly branching out into projects including speed boats, bicycles, clothing and real estate development, even submarines and aircraft, mostly on a licensing basis. Aston Martin had a troubled history after the third quarter of the 20th century but has also enjoyed long periods of success and stability. "In the first century we went bankrupt seven times", incoming CEO Andy Palmer told Automotive News Europe. "The second century is about making sure that is not the case." Aston Martin was founded in 1913 by Lionel Martin and Robert Bamford. The two had joined forces as Bamford & Martin the previous year to sell cars made by Singer from premises in Callow Street, London where they also serviced GWK and Calthorpe vehicles. Martin raced specials at Aston Hill near Aston Clinton, and the pair decided to make their own vehicles. The first car to be named Aston Martin was created by Martin by fitting a four-cylinder Coventry-Simplex engine to the chassis of a 1908 Isotta Fraschini. They acquired premises at Henniker Mews in Kensington and produced their first car in March 1915. Production could not start because of the outbreak of the first World War, and Martin joined the Admiralty and Bamford joined the Army Service Corps. After the war they found new premises at Abingdon Road, Kensington and designed a new car. Bamford left in 1920 and Bamford & Martin was revitalised with funding from Count Louis Zborowski. In 1922, Bamford & Martin produced cars to compete in the French Grand Prix, which went on to set world speed and endurance records at Brooklands. Three works Team Cars with 16-valve twin cam engines were built for racing and record breaking: chassis number 1914, later developed as the Green Pea; chassis number 1915, the Razor Blade record car; and chassis number 1916, later developed as the Halford Special. Approximately 55 cars were built for sale in two configurations; long chassis and short chassis. Bamford & Martin went bankrupt in 1924 and was bought by Dorothea, Lady Charnwood who put her son John Benson on the board. Bamford & Martin got into financial difficulty again in 1925 and Martin was forced to sell the company (Bamford had already left). The pair had planned to sell their engine to motor manufacturers, but having heard that Aston Martin was no longer in production realised they could capitalise on its reputation to jump start the production of a completely new car. Bertelli was a competent driver keen to race his cars, one of few owner/manufacturer/drivers. The "LM" team cars were very successful in national and international motor racing including at Le Mans. In 1947, old-established (1860) privately owned Huddersfield gear and machine tools manufacturer David Brown Limited bought Aston Martin putting it under control of its Tractor Group. David Brown became Aston Martin's latest saviour. He also acquired without its factory Lagonda's business for its 2.6-litre W. O. Bentley-designed engine. Lagonda moved operations to Newport Pagnell and shared engines, resources and workshops. 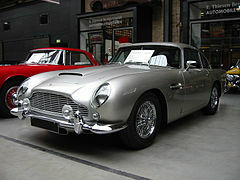 Aston Martin began to build the classic "DB" series of cars. 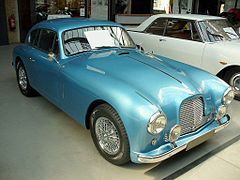 In April 1950, they announced planned production of their Le Mans prototype to be called the DB2, followed by the DB2/4 in 1953, the DB2/4 MkII in 1955, the DB Mark III in 1957 and the Italian-styled 3.7 L DB4 in 1958. While these models helped Aston Martin establish a good racing pedigree, the DB4 stood out and yielded the famous DB5 in 1963. Aston stayed true to its grand touring style with the DB6 (1965–70), and DBS (1967–1972). The Tadek Marek-designed V8 engine was a mainstay of the Aston Martin lineup for decades, and was built from 1969 until 2000. Aston Martin was often financially troubled. In 1972, David Brown paid off all its debts, said to be £5 million or more, and handed it for £101 to Company Developments, a Birmingham-based investment bank consortium chaired by accountant William Willson. More detail on this period may be read at Willson's biography. The worldwide recession, lack of working capital and the difficulties of developing an engine to meet California's exhaust emission requirements — it stopped the company's US sales — again pulled Aston Martin into receivership at the end of 1974. The company had employed 460 workers when the manufacturing plant closed. The receiver sold the business in April 1975 for £1.05 million to North American businessmen Peter Sprague of National Semiconductor and Toronto hotelier, George Minden, and Jeremy Turner, a London businessman, who insisted to reporters Aston Martin remained a British controlled business. Sprague later claimed he had fallen in love with the factory, not the cars, the workforce's craftsmanship dedication and intelligence. At this point, he and Minden had brought in investor, Alan Curtis, a British office property developer together with George Flather, a retired Sheffield steel magnate. Six months later, in September 1975, the factory — shut-down the previous December — re-opened under its new owner as Aston Martin Lagonda Limited with 100 employees and plans to lift staff to 250 by the end of 1975. In January 1976, AML revealed that it now held orders for 150 cars for US, 100 for other markets and another 80 from a Japanese importing agency. At the Geneva Motor Show, Fred Hartley, managing director and sales director for 13 years before that, announced he had resigned over "differences in marketing policy". The new owners pushed Aston Martin into modernising its line, introducing the V8 Vantage in 1977, the convertible Volante in 1978, and the one-off Bulldog styled by William Towns in 1980. Towns also styled the futuristic new Lagonda saloon, based on the V8 model. Curtis, who had a 42% stake in Aston Martin, also brought about a change in direction from the usual customers who were Aston Martin fanatics (fans) to successful young married businessmen. Prices had been increased by 25%. There was speculation that AML was about to buy Italian automobile manufacturer Lamborghini. At the end of the 1970s, there was widespread debate about running MG into the Aston Martin consortium. 85 Tory MPs formed themselves into a pressure group to get British Leyland to release their grip and hand it over. CH Industrials plc (car components) bought a 10% share in AML. But in July 1980, blaming a recession, AML cut back their workforce of 450 by more than 20% making those people redundant. In January 1981, there having been no satisfactory revival partners, Alan Curtis and Peter Sprague announced they had never intended to maintain a long term financial stake in Aston Martin Lagonda and it was to be sold to Pace Petroleum's Victor Gauntlett. Sprague and Curtis pointed out that under their ownership AML finances had improved to where an offer for MG might have been feasible. Gauntlett bought a 12.5% stake in Aston Martin for £500,000 via Pace Petroleum in 1980, with Tim Hearley of CH Industrials taking a similar share. Pace and CHI took over as joint 50/50 owners at the beginning of 1981, with Gauntlett as executive chairman. Gauntlett also led the sales team, and after some development and publicity when the Lagonda became the world's fastest four-seater production car, was able to sell the car in Oman, Kuwait, and Qatar. In 1982, Aston Martin was granted a Royal Warrant of Appointment by the Prince of Wales. Understanding that it would take some time to develop new Aston Martin products, they created an engineering service subsidiary to develop automotive products for other companies. 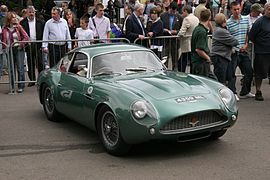 It was decided to use a trade name of Salmons & Son, their in-house coachbuilder, Tickford which Aston Martin had bought in 1955. Tickford's name had been long associated with expensive high quality carriages and cars along with their folding roofs. New products included a Tickford Austin Metro, a Tickford Ford Capri and even Tickford train interiors, particularly on the Jaguar XJS. Pace continued sponsoring racing events, and now sponsored all Aston Martin Owners Club events, taking a Tickford-engined Nimrod Group C car owned by AMOC President Viscount Downe, which came third in the Manufacturers Championship in both 1982 and 1983. It also finished seventh in the 1982 24 Hours of Le Mans race. However, sales of production cars were now at an all-time low of 30 cars produced in 1982. As trading became tighter in the petroleum market, and Aston Martin was requiring more time and money, Gauntlett agreed to sell Hays/Pace to the Kuwait Investment Office in September 1983. As Aston Martin required greater investment, he also agreed to sell his share holding to American importer and Greek shipping tycoon Peter Livanos, who invested via his joint venture with Nick and John Papanicolaou, ALL Inc. Gauntlett remained chairman of AML, 55% of the stake was owned by ALL, with Tickford a 50/50 venture between ALL and CHI. The uneasy relationship was ended when ALL exercised options to buy a larger share in AML; CHI's residual shares were exchanged for CHI's complete ownership of Tickford, which retained development of existing Aston Martin projects. In 1984, Papanicolaou's Titan shipping business was in trouble so Livanos's father George bought out the Papanicolaou's shares in ALL, while Gauntlett again became a shareholder with a 25% holding in AML. The deal valued Aston Martin/AML at £2 million, the year it built its 10,000th car. Aston Martin needed funds to survive in the long term. In May 1987, Gauntlett and Prince Michael of Kent were staying at the home of Contessa Maggi, the wife of the founder of the original Mille Miglia, while watching the revival event. Another house guest was Walter Hayes, vice-president of Ford of Europe. Despite problems over the previous acquisition of AC Cars, Hayes saw the potential of the brand and the discussion resulted in Ford taking a share holding in September 1987. 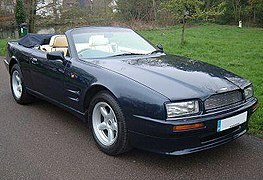 In 1988, having produced some 5,000 cars in 20 years, a revived economy and successful sales of limited edition Vantage, and 52 Volante Zagato coupés at £86,000 each; Aston Martin finally retired the ancient V8 and introduced the Virage range. Although Gauntlett was contractually to stay as chairman for two years, his racing interests took the company back into sports car racing in 1989 with limited European success. However, with engine rule changes for the 1990 season and the launch of the new Volante model, Ford provided the limited supply of Cosworth engines to the Jaguar cars racing team. As the entry-level DB7 would require a large engineering input, Ford agreed to take full control of Aston Martin, and Gauntlett handed over Aston Martin's chairmanship to Hayes in 1991. In 1992, the high-performance variant of the Virage called the Vantage was announced, and the following year Aston Martin renewed the DB range by announcing the DB7. Ford placed Aston Martin in the Premier Automotive Group, invested in new manufacturing and ramped up production. In 1994, Ford opened a new factory at Banbury Road in Bloxham to manufacture the DB7. In 1995, Aston Martin produced a record 700 cars. Until the Ford era, cars had been produced by hand coachbuilding craft methods, such as the English wheel. In 1998, the 2,000th DB7 was built, and in 2002, the 6,000th, exceeding production of all of the previous DB series models. The DB7 range was revamped by the addition of more powerful V12 Vantage models in 1999, and in 2001, Aston Martin introduced the V12-engined flagship model called the Vanquish which succeeded the aging Virage (now called the V8 Coupé). 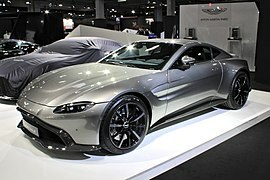 At the North American International Auto Show in Detroit, Michigan in 2003, Aston Martin introduced the AMV8 Vantage concept car. Expected to have few changes before its introduction in 2005, the Vantage brought back the classic V8 engine to allow Aston Martin to compete in a larger market. 2003 also saw the opening of the Gaydon factory, the first purpose-built factory in Aston Martin's history. Also introduced in 2003 was the DB9 coupé, which replaced the ten-year-old DB7. A convertible version of the DB9, the DB9 Volante, was introduced at the 2004 Detroit Auto Show. In October 2004, Aston Martin set up the dedicated 12,500 square metres (135,000 sq ft) AMEP engine production plant within the Ford Germany Niehl, Cologne plant. 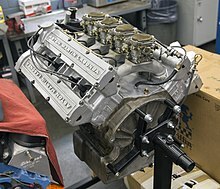 With the capacity to produce up to 5,000 engines a year by 100 specially trained personnel, like traditional Aston Martin engine production from Newport Pagnell, assembly of each unit was entrusted to a single technician from a pool of 30, with V8 and V12 variants assembled in under 20 hours. By bringing engine production back to within Aston Martin, the promise was that Aston Martin would be able to produce small runs of higher performance variants' engines. This expanded engine capacity allowed the entry-level V8 Vantage sports car to enter production at the Gaydon factory in 2006, joining the DB9 and DB9 Volante. In December 2003, Aston Martin announced it would return to motor racing in 2005. A new division was created, called Aston Martin Racing, which became responsible, together with Prodrive, for the design, development, and management of the DBR9 program. The DBR9 competes in the GT class in sports car races, including the world-famous 24 Hours of Le Mans. On 12 March 2007, a consortium led by Prodrive chairman David Richards purchased Aston Martin for £475 million (US$848 million). The group included American investment banker John Singers and two Kuwaiti companies namely Investment Dar and Adeem Investment; Prodrive had no financial involvement in the deal. Ford kept a stake in Aston Martin valued at £40 million (US$70 million). In order to demonstrate the V8 Vantage's durability across hazardous terrain and promote the car in China, the first east-west crossing of the Asian Highway was undertaken between June and August 2007. A pair of Britons drove 12,089 km (7,512 miles) from Tokyo to Istanbul before joining the European motorway network for another 3,259 km (2,025 miles) to London. The promotion was so successful Aston Martin opened dealerships in Shanghai and Beijing within three months. On 19 July 2007, the Newport Pagnell plant rolled out the last of nearly 13,000 cars made there since 1955, a Vanquish S. The Tickford Street facility was converted to Aston Martin's service and restoration department. UK production is now concentrated at Gaydon on the former RAF V-bomber airfield. In March 2008, Aston Martin announced a partnership with Magna Steyr to outsource manufacture of over 2,000 cars annually to Graz, Austria, reassuringly stating: "The continuing growth and success of Aston Martin is based upon Gaydon as the focal point and heart of the business, with the design and engineering of all Aston Martin products continuing to be carried out there." On 1 September 2008, Aston Martin announced the revival of the Lagonda marque, proposing a concept car to be shown in 2009 to coincide with the brand's 100th anniversary. The first production cars were slated for production in 2012. In December 2008, Aston Martin announced it would cut its workforce from 1,850 to 1,250 due to the ongoing economic recession. The first four-door Rapide grand tourers rolled out of the Magna Steyr factory in Graz, Austria in 2010. The contract manufacturer provides dedicated facilities to ensure compliance with the exacting standards of Aston Martin and other marques, including Mercedes-Benz. Then CEO of the company, Dr. Ulrich Bez had publicly speculated about outsourcing all of Aston Martin's operations with the exception of marketing. 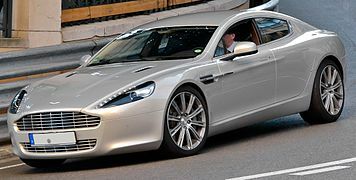 In September 2011, it was announced that production of the Rapide would be returned to Gaydon in the second half of 2012, restoring all of the company's automobile manufacture there. Italian private equity fund Investindustrial signed a deal on 6 December 2012 to buy a 37.5% stake in Aston Martin, investing GB£150 million as a capital increase. This was confirmed by Aston Martin in a press release on 7 December 2012. In April 2013, it was reported that Dr, Ulrich Bez would be leaving his role as the Chief Executive Officer to take up a more ambassadorial position widely seen as the first move by the new shareholders in reviewing the leadership and strategy of Aston Martin. On 2 September 2014, Aston Martin announced it had appointed the Nissan executive Andy Palmer as the new CEO with Ulrich Bez retaining a position as non-executive chairman. As sales had been declining from 2015, Aston Martin sought new customers (particularly wealthy female buyers) with introducing concept cars like the DBX SUV along with track focused cars like the Vulcan. According to Palmer, the troubles started when sales of the DB9 failed to generate sufficient fund to develop next-generation models which led to a downward spiral of declining sales and profitability. In 2014, Aston Martin suffered a pre-tax loss of GB£72 million, almost triple of the amount of 2013 selling 3,500 cars during the year, well below the 7,300 cars sold in 2007 and 4,200 sold in 2013 respectively. In March 2014, Aston Martin issued "payment in kind" notes of US$165 million, at 10.25% interest, in addition to the £304 million of senior secured notes at 9.25% issued in 2011. Aston Martin also had to secure an additional investment of GB£200 million from its shareholders to fund development of new models. It was reported that Aston Martin's pre-tax losses for 2016 increased by 27% to GB£162.8 million, the sixth year it continued to suffer a loss. In 2013, Aston Martin signed a deal with Daimler AG, which owned a 5% stake in Aston Martin, to supply the next generation of Aston Martin cars with Mercedes-AMG engines. Mercedes-AMG also was to supply Aston Martin with electrical systems. This technical partnership was intended to support Aston Martin's launch of a new generation of models that would incorporate new technology and engines. The first model to sport the Mercedes-Benz technology was the DB11, announced at the 2016 Geneva Motor Show which also has Mercedes-Benz electronics for the entertainment, navigation and other systems. The 2018 V8 Vantage, unveiled in late 2017, employed a Mercedes-Benz twin-turbocharged V8 engine and infotainment systems. After “completing a turnaround for the once perennially loss-making company that could now be valued at up to 5 billion pounds ($6.4 billion),” and now reporting a full-year pre-tax profit of GB£87 million (compared with a GB£163 million loss in 2016) Aston Martin in August 2018 announced plans to float the company at the London Stock Exchange as Aston Martin Lagonda Global Holdings plc. The company was the subject of an initial public offering on the London Stock Exchange on 3 October 2018. Since 2015, Aston Martin has sought to increase its appeal to women as a luxury lifestyle brand. A female advisory panel was established to adapt the design of the cars to the taste of women. In September 2016, a 37-foot long Aston Martin speedboat was unveiled called the Aston Martin AM37 powerboat. In September 2017, Aston Martin announced that they had partnered with submarine building company Triton Submarines LLC to build a submarine called Project Neptune. Aston Martin has collaborated with the luxury clothing company Hackett London to deliver items of clothing. In November 2017, Aston Martin unveiled a special limited edition bicycle after collaborating with bicycle manufacturer Storck. Aston Martin and global property developer G&G Business Developments are currently building a 66-storey luxury condominium tower called Aston Martin Residences at 300 Biscayne Boulevard Way in Miami, Florida which is set for completion in 2021. In July 2018, Aston Martin unveiled the Volante Vision Concept, a luxury concept aircraft with vertical take-off and landing capabilities. Also in July, a Lego version of James Bond's DB5 car was put on sale  and an Aston Martin branded watch was released in collaboration with TAG Heuer. In October 2018, Aston Martin announced it was opening a design and brand studio in Shanghai. Robert W. Walke Aston Martin 2-Litre Sports (DB1) Aston Martin 2.0L I4 ? Aston Martin sponsors 2. Bundesliga club 1860 Munich. ^ a b c "Annual Report 2018" (PDF). Retrieved 14 March 2019. ^ "Andy Palmer revs up iconic British sports car firm Aston Martin for a £5bn float". 16 September 2018. Retrieved 8 December 2018. ^ "Night of Bond Glamour showcases UK's reputation for creativity". Gov.uk. 4 October 2016. ^ a b "Search Members' Directory - Royal Warrant Holders Association". Retrieved 28 March 2017. ^ "Aston Martin - Dealers". www.astonmartin.com. ^ a b "Aston Martin shares slide on debut". 3 October 2018. Retrieved 12 November 2018 – via www.bbc.com. ^ "Vulcan meets Vulcan: Watch an Aston Martin supercar play with a jet fighter on the track". 2 October 2015. ^ "This is Aston Martin's new submarine". 2 May 2018. Retrieved 23 September 2018. ^ "aston martin aircraft concept takes luxury personal transportation to the sky". 16 July 2018. Retrieved 23 September 2018. ^ "Aston Martin powerboat revealed in Monaco". 28 September 2016. ^ "Project Neptune: Triton and Aston Martin". www.astonmartin.com. ^ "Aston Martin's First Real Estate Project Is Coming to Miami". 28 October 2016. ^ a b "Aston Martin unveils special edition Storck bicycle". www.astonmartin.com. ^ a b "Hackett Introduces Second Aston Martin Capsule Collection". www.astonmartin.com. ^ "Aston Martin set to crush competition with "Project Sparta"". www.astonmartin.com. Retrieved 23 September 2018. ^ a b Gibbs, Nick (9 April 2015). "Aston CEO calls crossover, Daimler deal keys to revival". The Automotive News. Retrieved 9 March 2017. ^ "Company History 1913 – 1920". 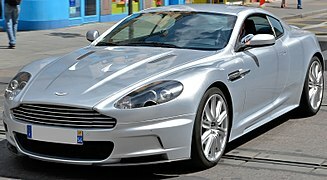 Astonmartin.com. Retrieved 23 August 2014. ^ Inman-Hunter, E.M. (May 1944). "Notes on the Original Aston-Martin Company". Motor Sport: 92. ^ "Aston Martin: Car Manufacturer: Great British Design Quest". Design Museum. Archived from the original on 1 July 2014. Retrieved 23 August 2014. ^ "Aston martin 1914–2005". speedace.info. Retrieved 23 August 2014. ^ "Henniker Mews, SW3" (PDF). Mews News. Lurot Brand: 3. Spring 2009. Retrieved 23 August 2014. ^ "No. 29337". The London Gazette (Supplement). 22 October 1915. p. 10477. ^ The AM Halford Special, The First Five Years, AM Quarterly, Volume 19 Number 77, Summer 1981. ^ Atkinson, Kevin (2007). The Singer Story. Veloce Publishing. ISBN 978-1874105527. ^ a b c d "Pre-war Aston Martin, Birth to 1932". Ecurie Bertelli. Retrieved 6 December 2018. ^ "A Brief History of Aston Martin | OSV | Learning Centre". OSV. 10 November 2017. Retrieved 9 September 2018. ^ "Lionel Martin Biography: A Great History of Aston Martin Cars". Astrum People. Retrieved 9 September 2018. ^ The David Brown Corporation Limited (Incorporated under the Companies Act. 1948.) The Times, Monday, 12 March 1951; pg. 9; Issue 51947. ^ a b c "70 years of Aston Martin DBs: David Brown and his cars". Classic Car Trust. Retrieved 6 December 2018. ^ The 2½-Litre Aston-Martin. The Times, Tuesday, 25 April 1950; pg. 3; Issue 51674. ^ "News and Comment: Aston Martin changes hands". Autocar. 136 (3960): 2. 9 March 1972. ^ Nicols, Mel (September 1978). "The Aston Miracle". Car Magazine: 35–362. ^ "1980 Aston Martin Lagonda". Hagerty Insurance. Retrieved 6 December 2018. ^ Petrol chief takes over Aston Martin. The Times, Monday, 5 January 1981; pg. 15; Issue 60817. ^ a b c d "Obituary: Victor Gauntlett". The Independent (London). Archived from the original on 3 February 2008. Retrieved 3 February 2008. ^ "Aston Martin shows off Vanquish Zagato shooting brake's interior". Motor Authority. Retrieved 4 December 2018. ^ "TLD – Press (Allies/MI6)". thegoldengun.co.uk. Archived from the original on 13 May 2008. Retrieved 23 August 2014. ^ "ClassicInside – The ClassicDriver Newsletter". Classicdriver.com. Archived from the original on 11 October 2007. Retrieved 30 September 2010. ^ "Aston Martin Virage Coupe (1989-2000)". Autocar. Retrieved 6 December 2018. ^ "Keeping the best of British running". The Sydney Morning Herald. 14 April 2003. ^ "Aston Martin DB7 1993". Royal Automobile Club. Retrieved 6 December 2018. 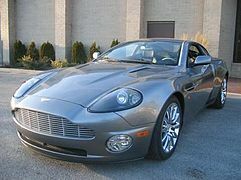 ^ "Aston Martin Vanquish (2001 - 2007) used car review". RAC. Retrieved 6 December 2018. 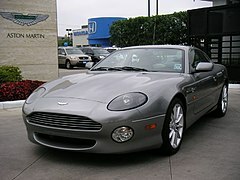 ^ "2004 Detroit Auto Show: Aston Martin shows DB9 Volante". Autonews. 12 January 2004. Retrieved 6 December 2018. ^ "Aston Martin s . com – Aston Martin Engine Plant Cologne". Astonmartins.com. Archived from the original on 12 October 2011. Retrieved 3 December 2011. ^ "Aston Martin Vantage (2006 - 2017) used car review". RAC. Retrieved 6 December 2018. ^ "Aston Martin Racing Aston Martin DBR9". Motor Sport. 30 May 2018. Retrieved 6 December 2018. ^ Martinez, James (31 August 2006). "Ford confirms Aston Martin is for sale". Motor Authority. Retrieved 23 August 2014. ^ "00-Heaven! Bond's Car British Again, Sky News, Home". BSkyB. Archived from the original on 11 October 2007. Retrieved 30 September 2010. ^ Inman, Phillip (27 September 2009). "Aston Martin in peril as owner Investment Dar runs out of cash". The Guardian. London. ^ "Aston Martin sold to UK-led group". BBC News. 12 June 2007. Retrieved 30 September 2010. ^ "David Richards heads consortium to buy Aston Martin" (Press release). Prodrive. 12 March 2007. Archived from the original on 26 August 2014. Retrieved 23 August 2014. ^ "Aston Martin back under British ownership". The Telegraph. 13 March 2007. Retrieved 6 December 2018. ^ "New Aston Martin race series for Asia in 2008" (Press release). Aston Martin. 28 November 2007. Archived from the original on 4 December 2007. Retrieved 23 August 2014. ^ "From Newport Pagnell to Gaydon". The Automobile. November 2007. ^ "Aston Martin News – Aston Martin arrives in China". Archived from the original on 23 May 2013. ^ "Aston Martin News – Aston Martin CEO confirms the revival of the Lagonda Marque". Archived from the original on 23 May 2013. ^ "England, Third of jobs go at Aston Martin". BBC News. 1 December 2008. Retrieved 29 April 2009. ^ Oliver, Ben (3 March 2008). "Aston to build cars abroad". Car Magazine. Retrieved 28 December 2011. ^ Holmes, Jake (7 June 2011). "Production of Aston Martin Rapide Moves to Gaydon, England". Motor Trend. Retrieved 28 December 2011. ^ "Aston Martin sells stake to Investindustrial". BBC News. 7 December 2012. Retrieved 7 December 2012. ^ Jones, Rhys; Clark, Jennifer (7 December 2012). "Italian private equity fund Investindustrial has signed a deal to buy 37.5 percent of Aston Martin Lagonda Ltd ASTON.UL from its Kuwaiti owner Investment Dar". Reuters. Retrieved 14 December 2013. ^ (in Italian) Martin in mani italiane. Il fondo Investindustrial dei Bonomi socio di riferimento con il 37,5%. ^ "Aston Martin - The Latest News and Press Releases from Aston Martin Lagonda Ltd" (Press release). Retrieved 27 June 2013. ^ "Ulrich Bez expected to step down as boss of Aston Martin". Retrieved 27 June 2013. ^ "Andrew Palmer is the New CEO of Aston Martin". Retrieved 28 March 2017. ^ Hotten, Russell (5 March 2015). "Aston Martin battles to reinvent itself". BBC News. ^ Hotten, Russell (3 March 2015). "Aston Martin targets female buyers". BBC News. ^ a b c Sharman, Andy (16 October 2015). "Aston Martin reports near tripling of annual losses". The Financial Times. Retrieved 9 March 2017. ^ Pitas, Costas (24 February 2017). "Aston Martin's losses accelerate, new DB11 brings year-end surge to sales". Reuters. Retrieved 25 February 2017. ^ Holt, Richard (19 December 2013). "Aston Martin signs engine deal with Mercedes-AMG". Daily Telegraph. Retrieved 23 August 2014. ^ "Aston Martin Vantage interior". Autocar. Retrieved 6 December 2018. ^ a b Pitas, Costas. "Aston Martin plans to go public as turnaround picks up speed". Retrieved 23 September 2018. ^ "Will the Aston Martin IPO crush the market or should you avoid it?". 14 September 2018. Retrieved 12 November 2018. ^ "1956 Aston Martin DBR1/1 sells for record-breaking $22.6 million". Autoblog. 19 August 2017. Archived from the original on 21 August 2017. Retrieved 21 August 2017. ^ "The five most expensive cars on auction at Pebble Beach". CNBC. 16 August 2017. Retrieved 21 August 2017. ^ "Ten-Foot Aston Martin Cygnet Gets 50 MPG, Plays Sidecar to Your DBS". PopSci.com.au. 1 July 2009. Archived from the original on 20 February 2012. Retrieved 1 July 2009. ^ Websoft (16 January 2010). "Aston Martin Fan Club: 2012 Aston Martin Cygnet". 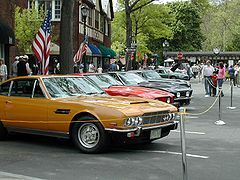 Astonmartinfanclub.blogspot.com. Archived from the original on 29 May 2012. Retrieved 15 May 2010. ^ "Aston Martin Fan Club: Aston Martin Lagonda". 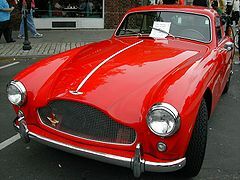 Astonmartinfanclub.blogspot.com. 21 July 2009. Archived from the original on 29 May 2012. Retrieved 15 May 2010. ^ a b Websoft (21 December 2009). "Aston Martin Fan Club: Aston Martin Carbon Black Edition V12 Vantage And DBS Announced". 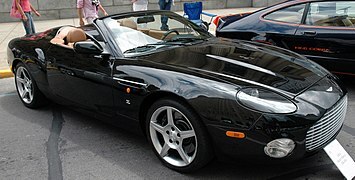 Astonmartinfanclub.blogspot.com. Archived from the original on 8 July 2011. Retrieved 15 May 2010. ^ "Aston Martin Reimagines Racing Legend with CC100 Speedster". Automoblog.net. Retrieved 20 May 2013. ^ "DBX- Aston Martin's first luxury SUV". 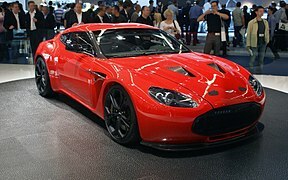 astonmartin.com. Aston Martin. Retrieved 15 December 2018. ^ "Future Models". Aston Martin. Retrieved 10 March 2019. ^ Clark, Simon (27 May 2015). "Aston Martin Seeks Women Drivers, Luxury Tag". Wall Street Journal. ISSN 0099-9660. Retrieved 27 February 2018. ^ "Luxury Automakers Are Finally Discovering the Power of Women Buyers". Bloomberg.com. 13 February 2018. Retrieved 27 February 2018. ^ "Aston Martin powerboat revealed in Monaco". www.astonmartin.com. ^ "Aston Martin Residences breaks ground in Miami". www.astonmartin.com. ^ "Aston Martin race to the skies". www.astonmartin.com. Retrieved 29 August 2018. ^ "New LEGO Aston Martin DB5 | James Bond 007". James Bond 007. 18 July 2018. Retrieved 29 August 2018. ^ "TAG Heuer Carrera Calibre Heuer 01 Aston Martin Special Edition timepiece goes on global release". www.astonmartin.com. Retrieved 12 November 2018. ^ Motavalli, Jim. "Aston Martin to Open Design and Brand Studios in Shanghai". Retrieved 25 October 2018. ^ Small, Steve (1994). The Guinness Complete Grand Prix Who's Who. Guinness. pp. 333, 352 and 383. ISBN 0851127029. ^ a b c "24 Heures Du Mans" (PDF). 2007. Archived from the original (PDF) on 27 September 2007. Retrieved 21 June 2014. 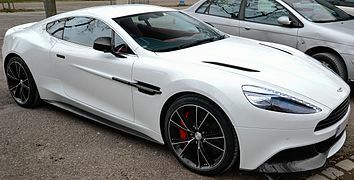 ^ "Aston Martin deal for TSV 1860 Munich". Sports Pro Media. 19 September 2011. Retrieved 6 December 2018. 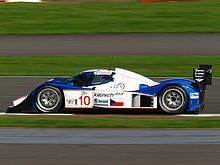 Wikimedia Commons has media related to Aston Martin vehicles.